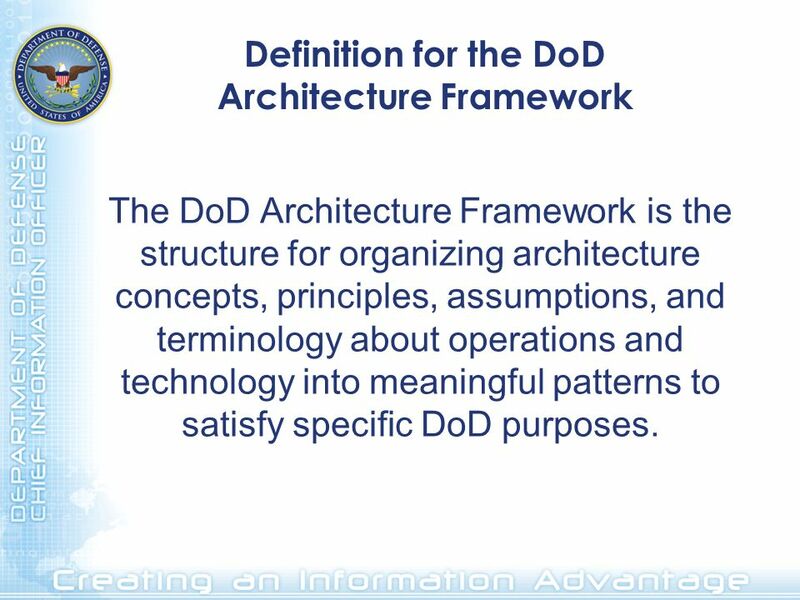 The DoD Architecture Framework is the structure for organizing architecture concepts, principles, assumptions, and terminology about operations and technology into meaningful patterns to satisfy specific DoD purposes. 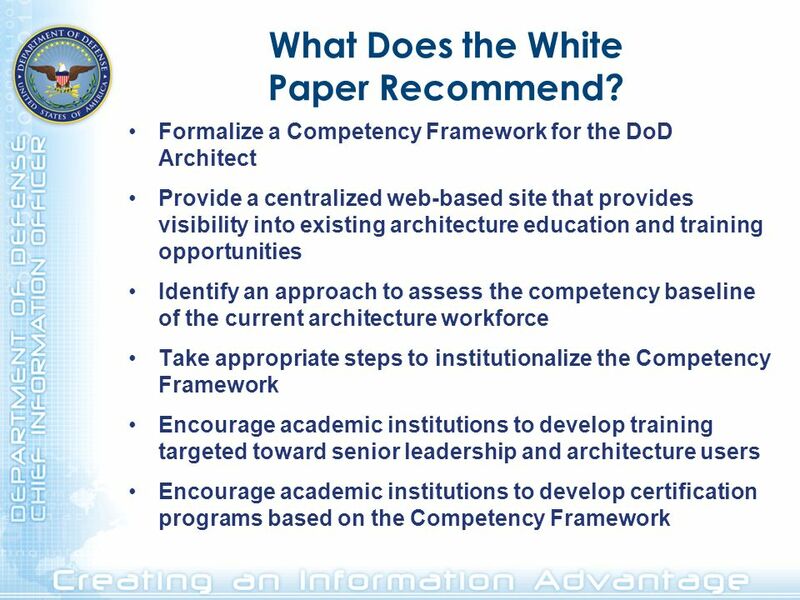 11 What Does the White Paper Recommend? 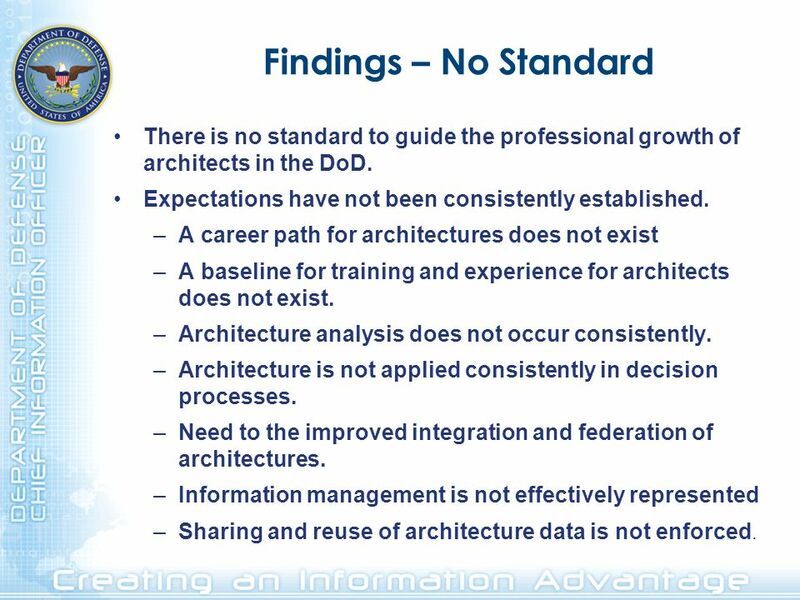 13 Findings – No Standard There is no standard to guide the professional growth of architects in the DoD. 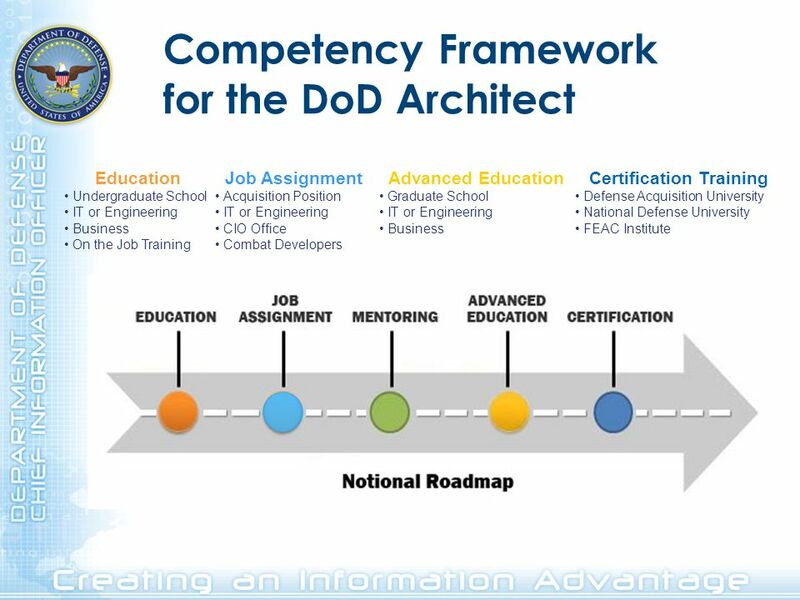 Expectations have not been consistently established. 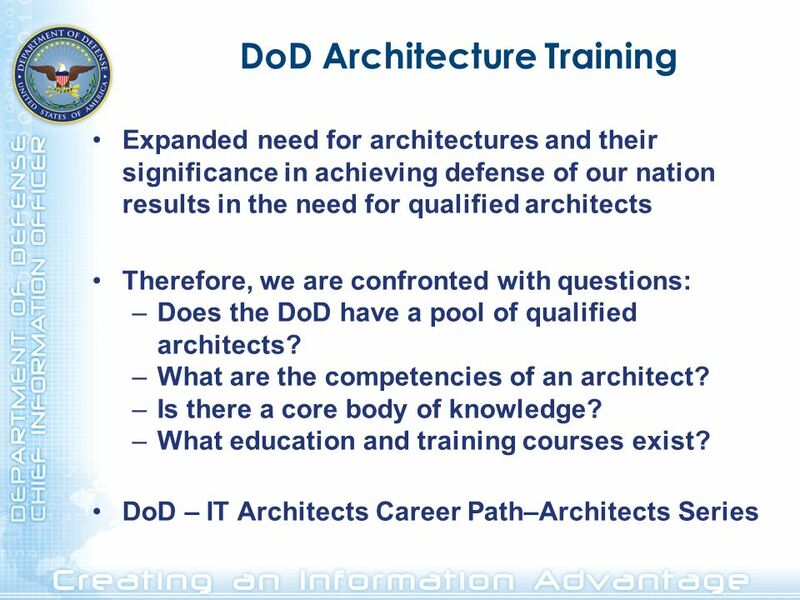 A career path for architectures does not exist A baseline for training and experience for architects does not exist. 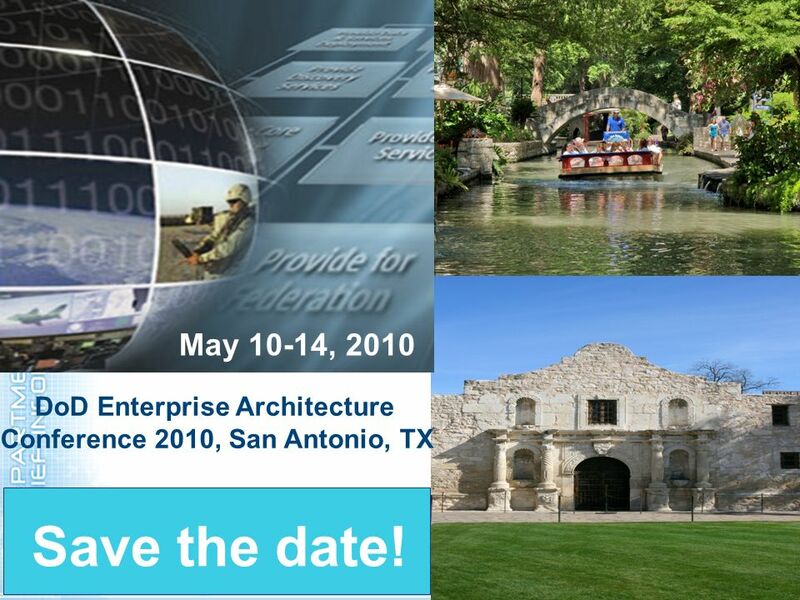 Architecture analysis does not occur consistently. 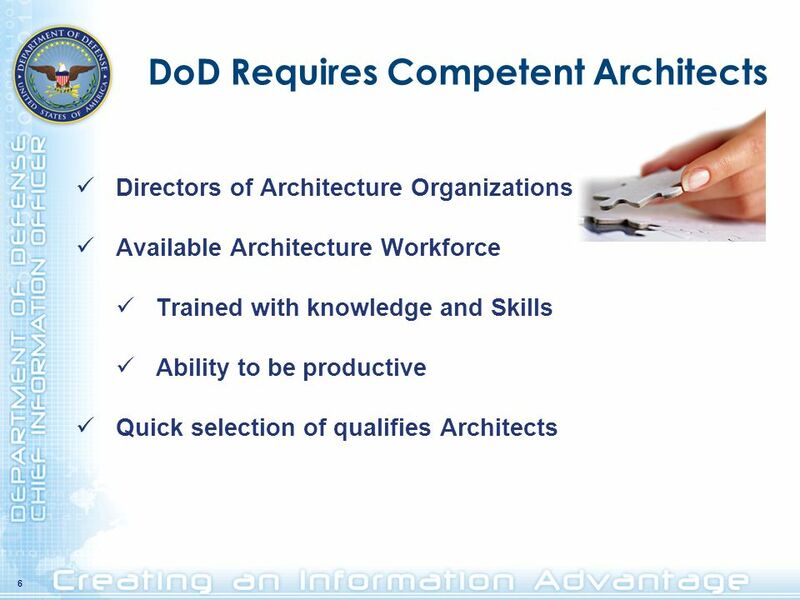 Architecture is not applied consistently in decision processes. 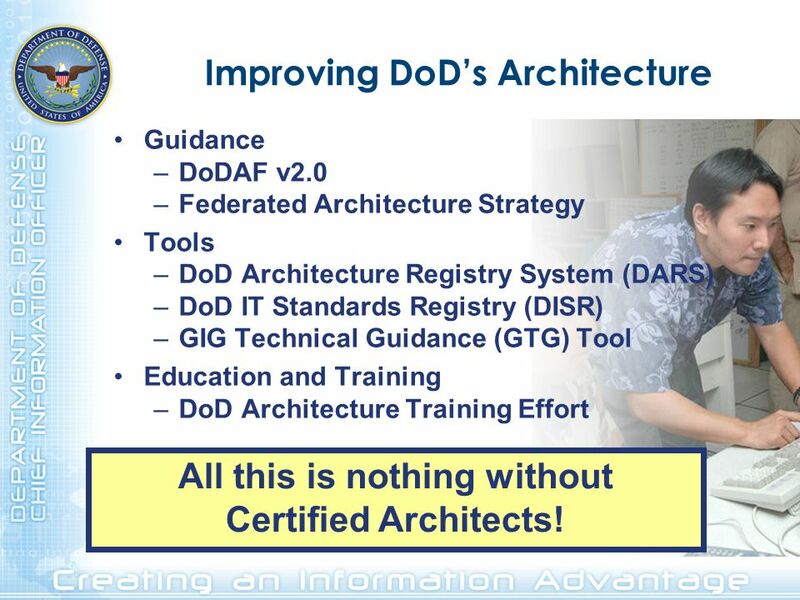 Need to the improved integration and federation of architectures. 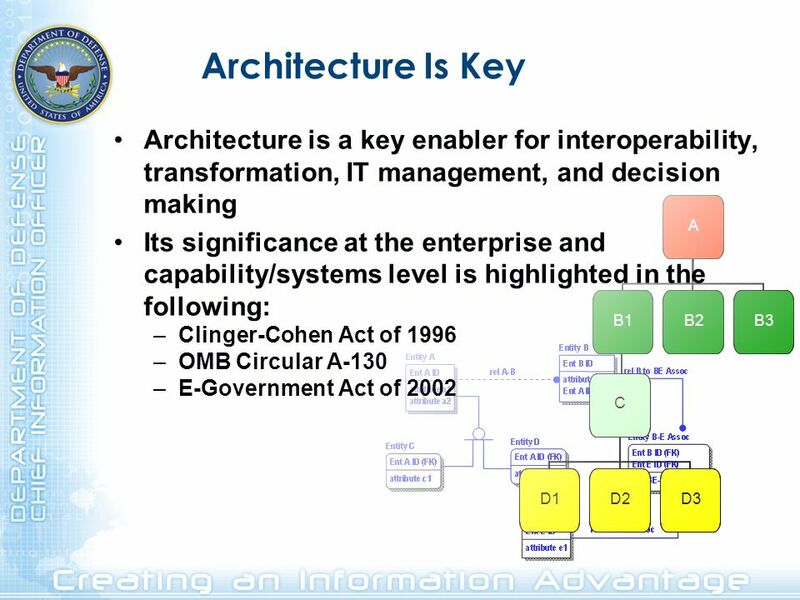 Information management is not effectively represented Sharing and reuse of architecture data is not enforced. 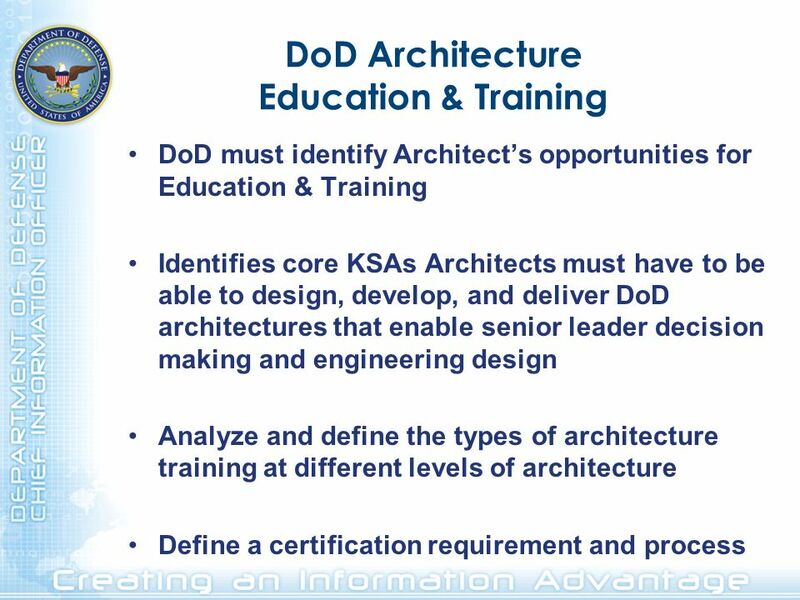 Architects do not know where to find the right training. 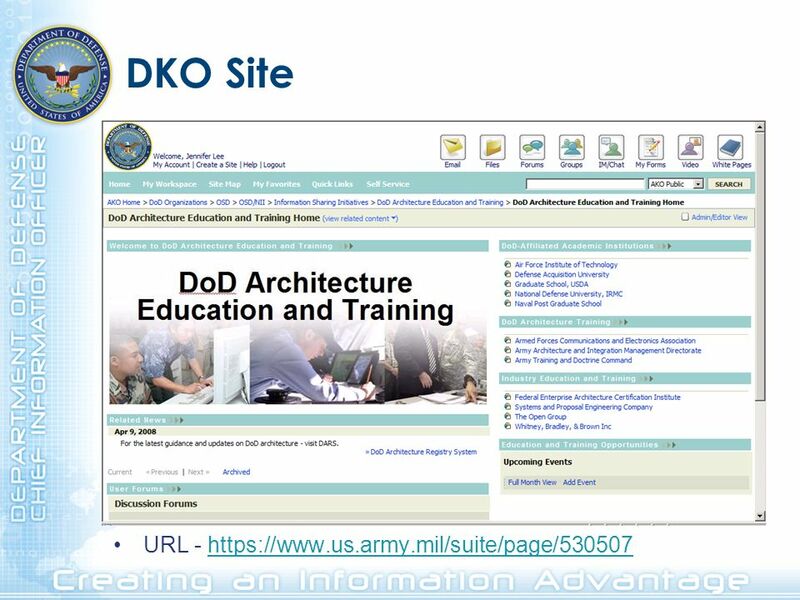 Some courses exist that address aspects of architecture; however, few architects are aware of their existence or value. 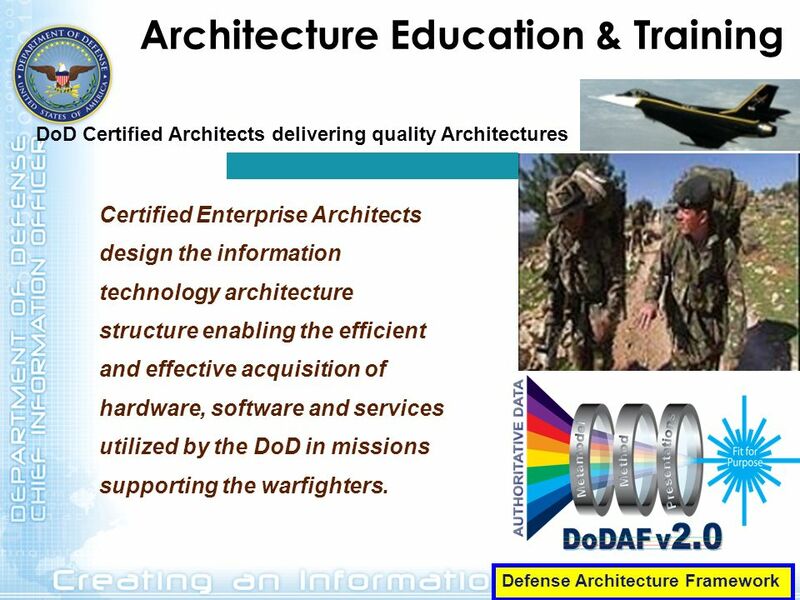 Current architecture courses do not sufficiently cover architecture basics. 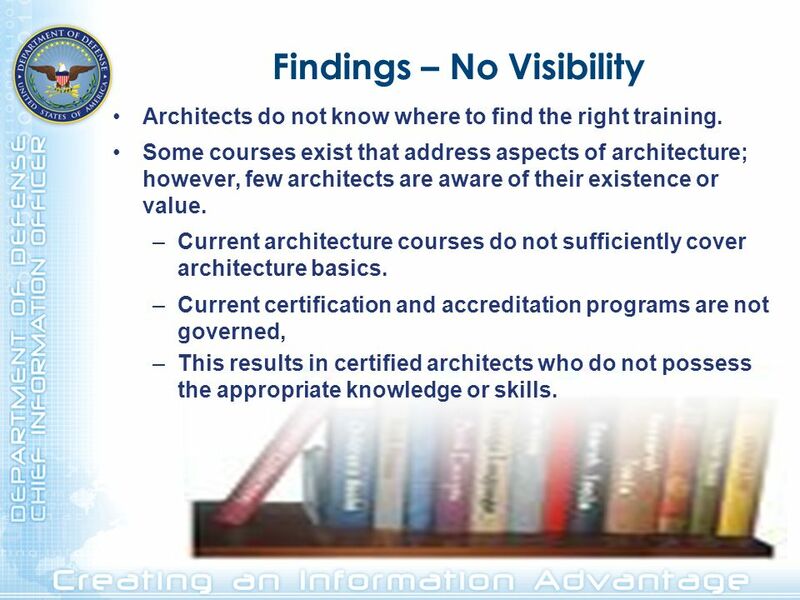 Current certification and accreditation programs are not governed, This results in certified architects who do not possess the appropriate knowledge or skills. 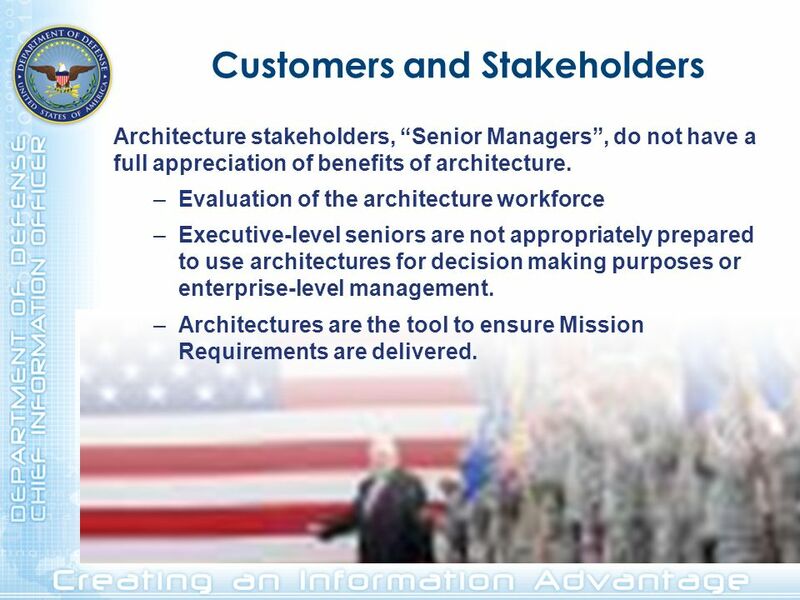 Architecture stakeholders, “Senior Managers”, do not have a full appreciation of benefits of architecture. 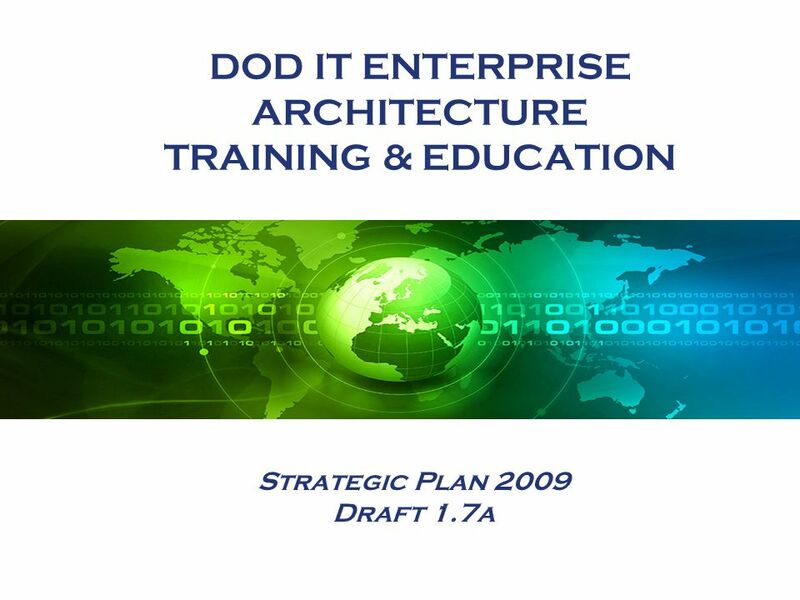 Evaluation of the architecture workforce Executive-level seniors are not appropriately prepared to use architectures for decision making purposes or enterprise-level management. 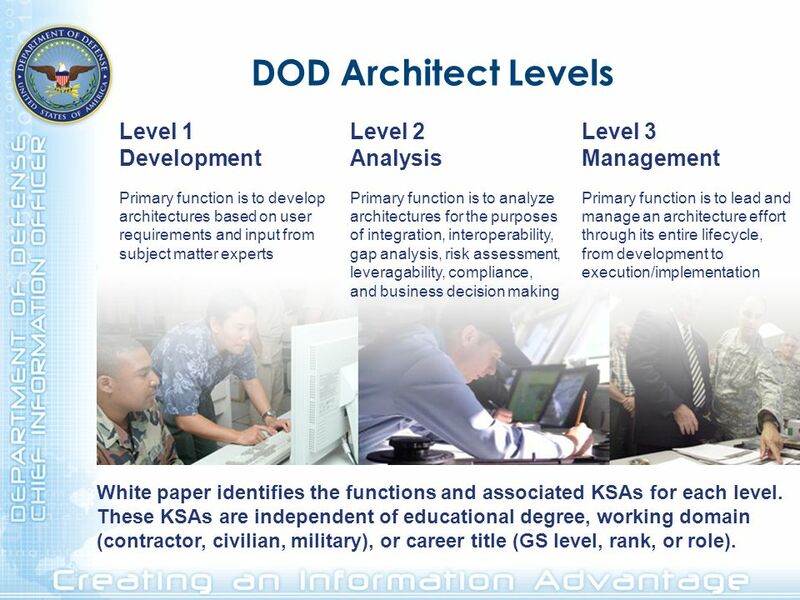 Architectures are the tool to ensure Mission Requirements are delivered. 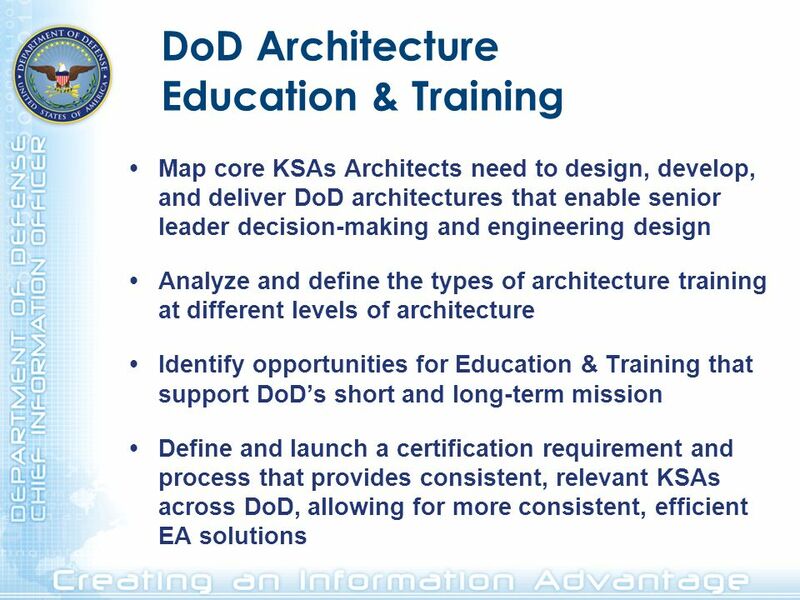 Map core KSAs Architects need to design, develop, and deliver DoD architectures that enable senior leader decision-making and engineering design Analyze and define the types of architecture training at different levels of architecture Identify opportunities for Education & Training that support DoD’s short and long-term mission Define and launch a certification requirement and process that provides consistent, relevant KSAs across DoD, allowing for more consistent, efficient EA solutions Architecture is a key enabler for interoperability, transformation, IT management, and decision making. 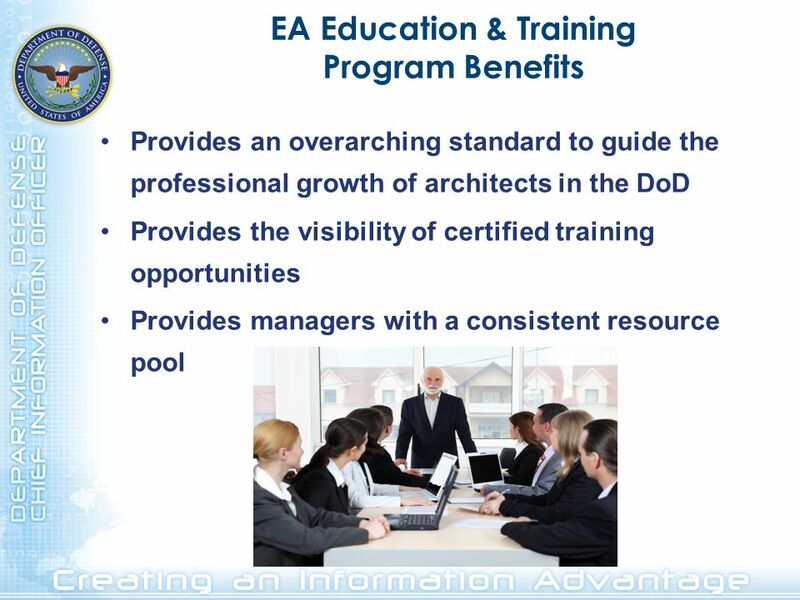 An effective comprehensive certification program must support the 4 Architect focus areas EAs and allow EAs to continue to grow and learn throughout their careers. 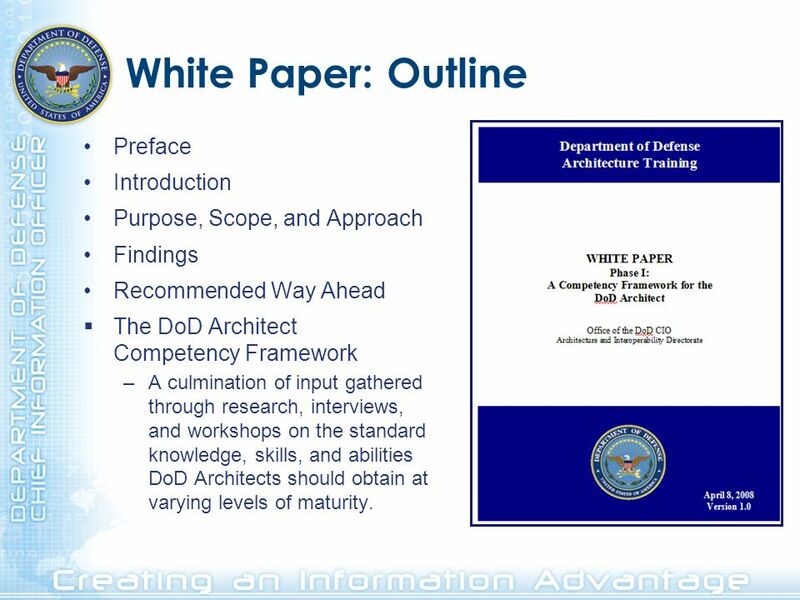 Chapter 8: Capacity Building Presented by Co Chair Mr. John Briceño CCAD Central American Countries 11/29/2003. 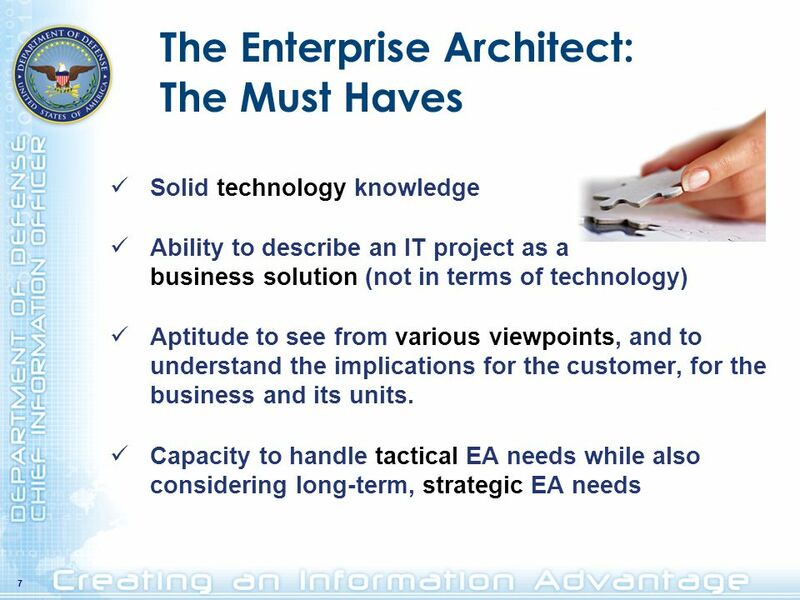 UK Government IT Profession Skills Framework EPAN IT Skills Workshop Maastricht 24 th June Monica Edmonds eGU IT Profession Directorate e-Government Unit. 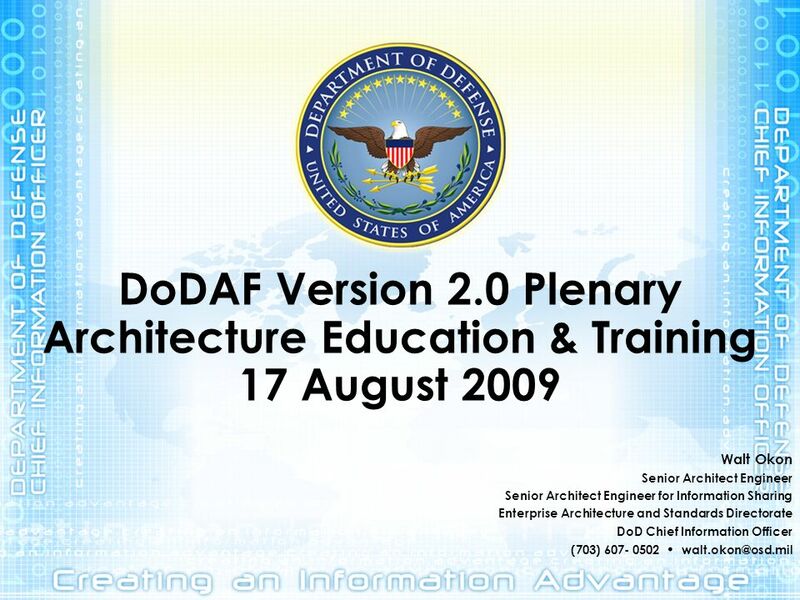 GSA Expo 2009 FEDERAL ACQUISITION CERTIFICATION – How to Obtain and Maintain Debbie HahnLinda Ott Social SecurityFAI Administration. 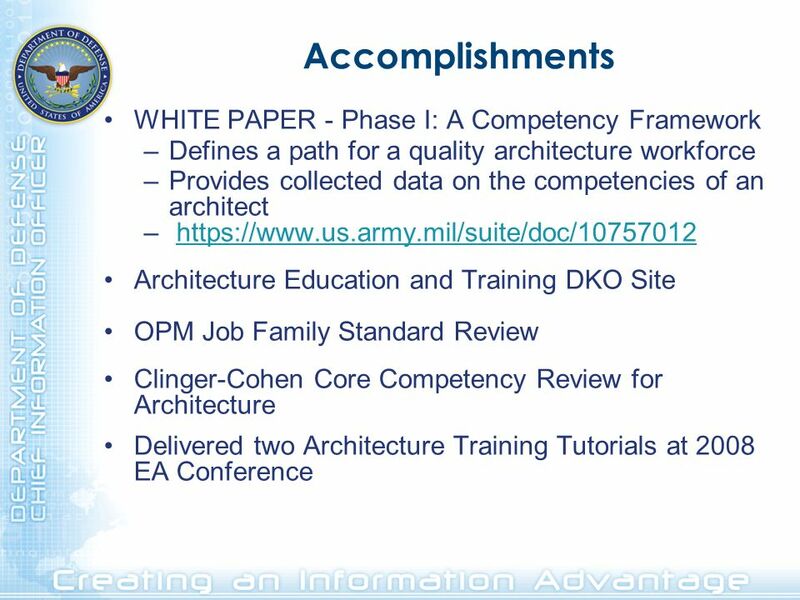 Principles of Quality Architecture and Moving Forward Towards a Unified Common Approach 5 January 2012 Walt Okon Senior Architect Engineer Architecture. Presented By: Thelma Ameyaw Security Management TEL2813 4/18/2008Thelma Ameyaw TEL2813.